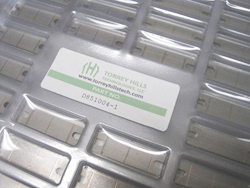 Copper Tungsten is one of the most popular refractory metal based heat sink materials offered today. With the "_blank" off-the-shelf system, we are able to offer standard products with a short lead-time at extremely competitive rates. All off-the-shelf part prices are listed on this website, plain and simple, so that you can compare them with others to make an easy and educated purchasing decision. In addition to simplifying the buying process, we also guarantee the performance and quality of our product and stand behind the stature of our company.